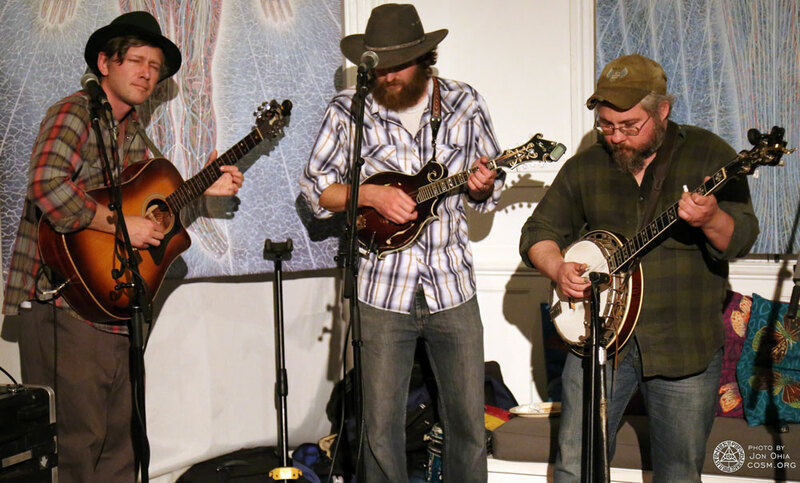 The Hawk Owls opened the May Full Moon weekend with a live bluegrass concert for Friday Night’s entertainment. All the way from Sussex County, the quintet performed as a seamless unit. The room filled with a mix of original songs and deep traditional melodies that moved the soul. 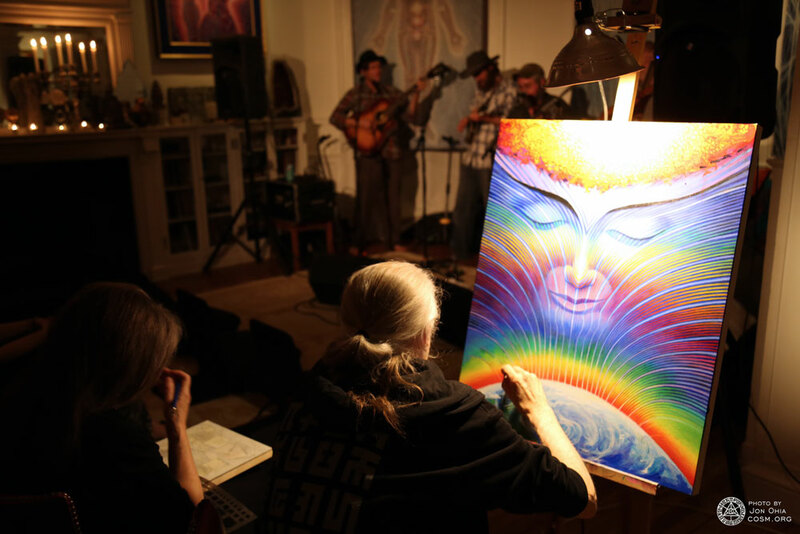 The sound was perfect for dancing, or painting along to. 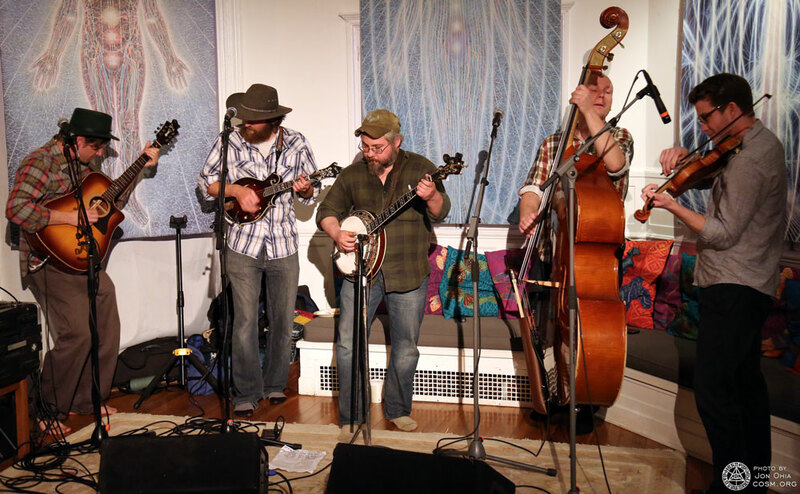 A huge thank you goes out to the Hawk Owls for their bluegrass magic. To hear more from this outstanding group, be sure to check out their website and Facebook page. Musician, Bradley White, deep in the sounds of bluegrass. Alex and Allyson enjoying the music with some art making.